Planting short rotation energy crops on England’s unused agricultural land could produce enough biomass to meet renewable energy targets without disrupting the food industry or the environment, according to research led by Professor Gail Taylor from the University of Southampton. 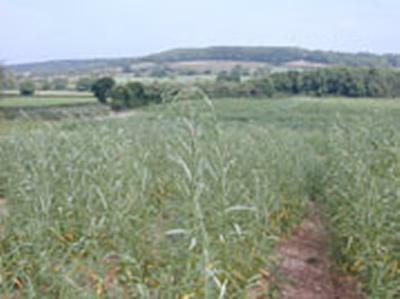 The study, funded by the UK Energy Research Centre (UKERC), is a rare investigation into energy crop supply which looks at the potential of planting short rotation coppice (poplar and willow) in England, taking into account social, economic and environmental constraints. It found that with efficient land use, England is able to produce enough biomass to generate approximately four per cent of current UK electricity demand, without compromising environmental sustainability or food production. The UK is committed to meeting 15 per cent of all energy and 30 per cent electricity demand via renewable sources by 2020 and bioenergy is expected to play an important role in this. Dedicated energy crops are currently only responsible for less than 0.1 per cent of the UK electricity but growing demand has led to conflicts with food production, attributing to the rising cost of food, and ecosystem services. Studies suggest that converting crops to electrical energy is largely beneficial in reducing Green House Gas (GHG) emissions, relative to fossil fuel. However, crops should generally not displace forest or semi-natural land. The UKERC research, published in Biofuels, states that new technology will enable biofuels to be made from ‘lignocellulosic’ crops (e.g. short rotation coppice willow and poplar), which, unlike current ‘cellulosic’ crops (typically derived from food crops such as wheat and maize) is able grow on poor quality agricultural land. Do not displace alternative land uses that offer greater (GHG) savings. Excluding restricted and semi-restricted land, 46 land designations were identified and assessed using Geographic Information Software (GIS) and spatially referenced agricultural land classification (ACL) grades. ALC is based on a number of criteria, including climate (temperature, rainfall, frost risk etc), site (gradient, micro-relief and flood-risk), and soil (depth, structure, texture, chemicals and stoniness). It is classified by five grades; one being the highest and five being the poorest quality. The results suggest that whilst over 39 per cent of land in England cannot be planted with short rotation crops due to agronomic or legislative restrictions, marginal land (ALC grades 4 and 5) is realistically available to produce 7.5 million tons of biomass. This would be enough to generate approximately four per cent of current UK electricity demand and approximately one per cent of energy demand. The South West and North West were identified as two areas with the most potential to produce over one third of this figure, owing to their large areas of poor grade land.